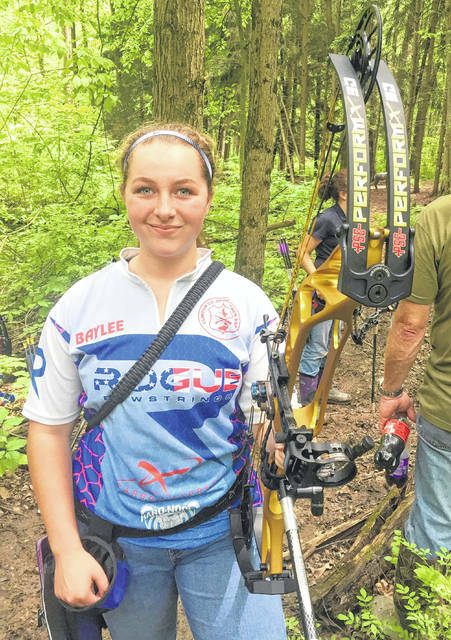 Wilmington High School freshman Baylee Deer is off to a successful start in her archery career. It’s not often someone can be called a natural when it comes to performance in an athletic endeavor. 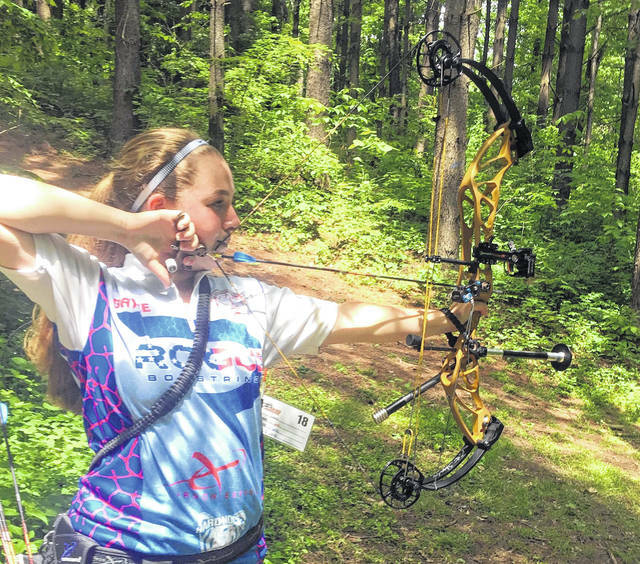 But Wilmington High School freshman Baylee Deer falls into that category when it comes to archery. Deer began shooting in October 2016, a prompting from her father Eric who was a member of the Clinton County Farmers and Sportsmen’s Association. Eric Deer knew right away Baylee with a bow in her hands was something special. “After a few times shooting, we noticed Baylee had a lot of talent shooting bows,” he said. 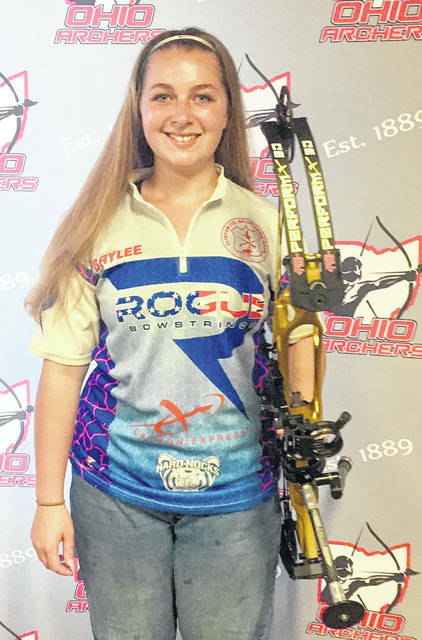 The only competitive event on Baylee’s schedule in 2016 was the Ohio Archery Association Indoor 300 State Championship in Ashland. She had no idea the success she would have in her first tournament. Deer earned the silver medal in the 8-11 year old female bowhunter freestyle division. In 2017, Deer soared to the top of the Ohio Archery Association, winning all seven events and earning Shooter of the Year honors in the 12-14 age group for bowhunter freestyle. 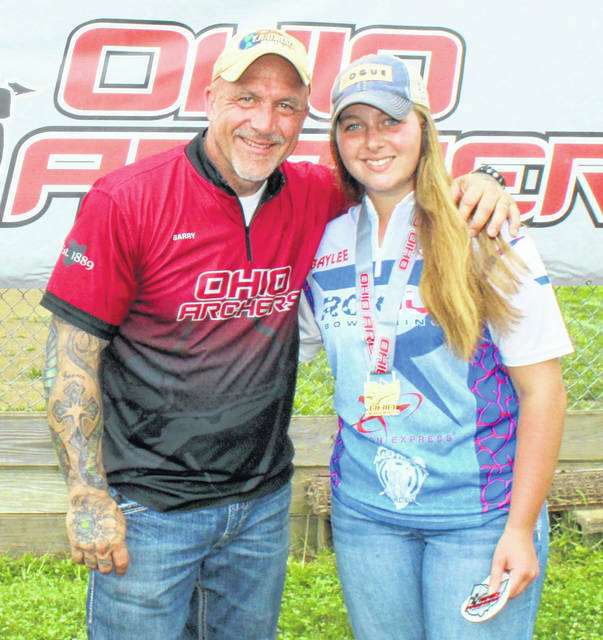 In 2018, Deer won four of six events and claimed her second Shooter of the Year award in OAA and won three of three tournaments and earned Shooter of the Year in the Junior Olympic Development organization. In all, Deer established five records during the 2018 season. She began the 2019 OAA season with a win in the Bowhunter Mail-In event. Deer competes on the WHS volleyball team as well as fast-pitch softball in the summer. Aside from her athletic success, Deer is sharp-minded in the classroom as well. 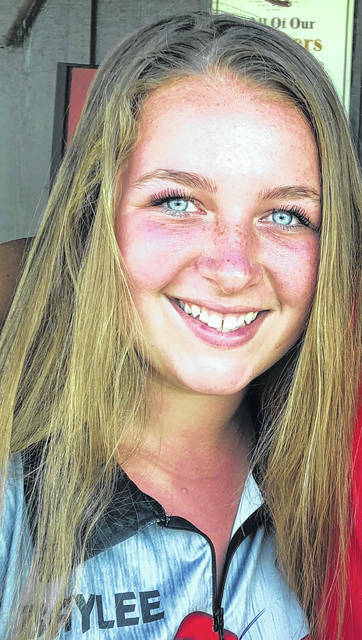 She carried a 4.0 grade point average throughout her sixth-, seventh- and eighth-grade years at Wilmington’s Rodger O. Borror Middle School. A college scholarship is one of Deer’s goals with archery. She has an interest in astronomy. Among the archery disciplines, Deer likes 3D, where the course setup is outdoors with three dimensional animals as targets. The course layout and conditions are never the same, offering a unique challenge to those shooting.